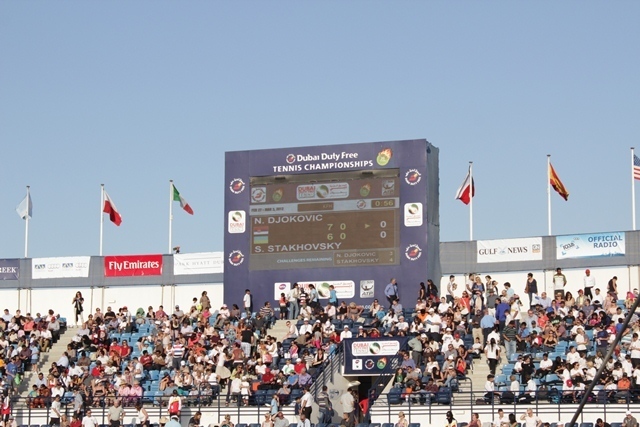 On Wednesday my cousin and I went to watch the tennis at the Aviation Club Tennis Centre. 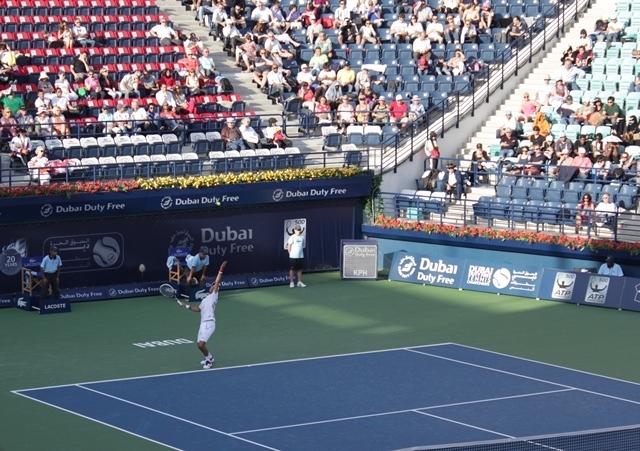 The Dubai Duty Free Tennis Championships were on and my cousin managed to get us some tickets. 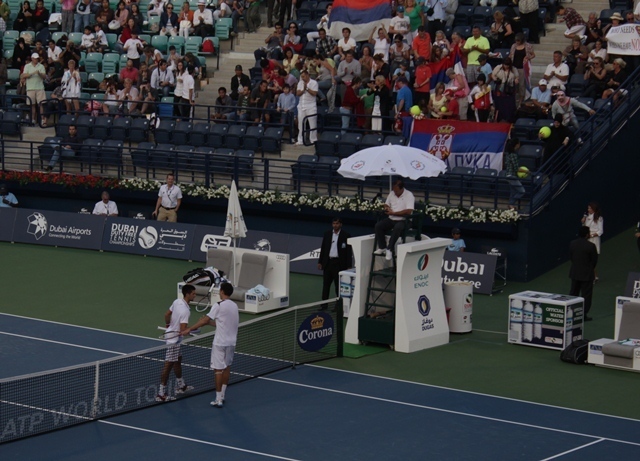 We got there at about 4.30 – the Djokovic/Stakhovsky match had just started and we managed to find some seats. I’d seen Djokovic play last summer at The Boodles tournament in Stoke Park. Sadly he didn’t do any impressions this time! Djokovic won. It was only 5.45 and the next game wasn’t due to start until 7pm. The lady next to us offered to hold our seats for us while we went to get something to drink. ‘Coffee or a pint?’ my cousin asked. ‘Coffee,’ I replied, without really thinking about it. WTF? I turned down alcohol for coffee? Clearly I was still sick. We went to Costa and then walked around for a while. We got back to our seats a little before 7pm. 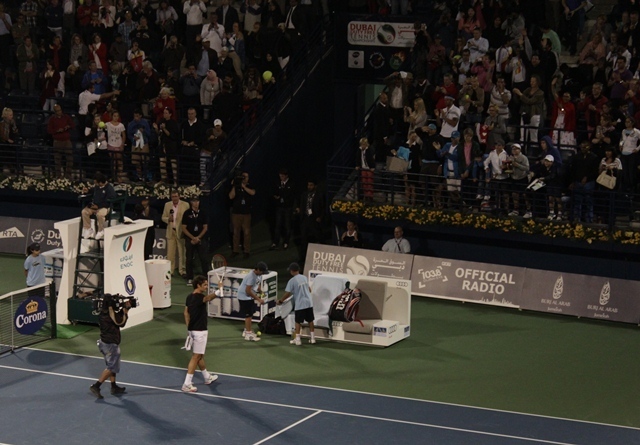 The next game was Lopez v Federer and the arena was packed. 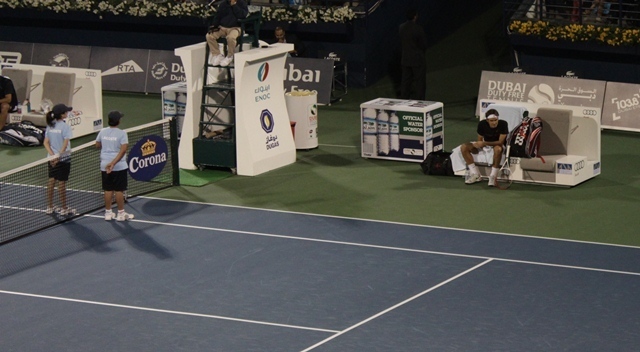 Federer won… but Lopez’s serves were incredible. If I saw a tennis ball hurtling towards me at 218 kph I would get out of the way! We left the stadium and tried to get a cab on the main road. Several empty cabs went past us but didn’t stop. We eventually realised it was because there was a police car parked right there and they weren’t allowed to stop. A policeman called us over and we thought he was going to tell us off for being in the wrong place but he hailed a cab for us and sent us on our way!